So how to prepare a smooth transition of the organisation system to Agile? An Agile organisation is an organisation that puts forward a dynamic client, who collaborates in a face-to-face and multidisciplinary way and where results are achieved in a step by step manner. The entire organisation as system has to be set up in way that it will be facilitated at maximum level. The management has a very important role during the transition to Agile as well as after this transition. The senior management is entitled to adapt the organisation system in such a way that motivated employees can use their energy to innovate. The senior management, middle management, teams, departments and individuals all have initiatives to improve, in which interaction and cooperation are necessary. In order not to be submerged by a multitude of projects, it is important to compose a project portfolio which has to be prioritised. Having a clear vision and knowing which direction you want to go, eliminates the possibility of getting lost in side directions. This leads to alignment. To prevent having insufficient time to work on projects, it is important that management authorises employees to dedicate time on these projects. Assure a good team composition, a complete product backlog and sufficient resources to make progress. Waiting for approvals, waiting for a management decision or other dependencies will enhance a delay and will act Agile contra-productive. As manager you can support the project team, for example, by arranging a legal expert who will participate in follow-up meetings. Another means is to enlarge the project team, providing a delegation/mandate in other words you manage the dependencies while at the same time you verify how you can suppress these dependencies. An organisation, a department or team does not need to become Agile at once. The discovery of a framework such as SCRUM, acquiring the Agile mindset and the development of an Agile organisation will evolve step by step. In 2007 Brian Robertson launched Holacracy. The Holacracy approach is an adversary of a too bureaucratic and too hierarchic management. Holacracy puts the responsibility and the decision power with the team and promotes a flat organisation structure. Holacracy is a blueprint for self-governing organisations. Innovative ideas and solutions draw the attention in a fast way and therefore the organisation is agile and action driven. Holacracy is purpose driven meaning that the organisation clearly shows the type of organisation that you want to be: what is the purpose. Indicating this purpose will create a clear direction and framing for your company. All employees carry out projects that serve this purpose: that keeps the organisation together and prevents creating separate islands: sub optimalisation. This purpose is not just a motivating factor, it is at the same time the frame in which employees can take decisions autonomously. In traditional organisations responsibilities are often still formulated in static function descriptions. These static function descriptions hardly change whereas the working environment does change. Holacracy does not work with function profiles but defines flexible roles that are needed at that moment. How does such a role look like? A role describes the purpose, responsibilities and the domains. Domains are to be considered as a piece of property of a certain role which can range from reporting, a database, a website or a system. When a role ‘has’ a certain domain, the role can do everything with this piece of property without permission. When another role wants to do something with this piece of property, for example, if you want to publish on the website, but the website belongs to the role of someone else, then you first need to ask permission from that specific role or another option is to present the issue during the SCRUM meeting. Holacracy makes a clear distinction between roles and people. A collaborator can assume different roles at once. Several collaborators can also fulfil the same role as long as it is clear who takes which focus. Everybody is an entrepreneur within its own role. As already explained, roles are flexible, because after a while the role can change, disappear or be transferred to someone else. The roles that match in a logical way are united in circles. Circles represent teams with an own purpose, strategy and responsibilities. An example of a circle is a specific client group or service. It happens that you as collaborator you are part of several circles if you several roles. Each circle has next to company specific roles, 4 fixed roles: the ‘lead link’, the ‘facilitator’, the ‘rep link’ and the ‘secretary’. – Lead Link: responsible for distribution of roles. – Rep Link: scheduling and resolving of tensions that limit the circle in its functioning. For example, alignment of dependencies, authorities and impediments. The Rep Link represents the circle in the alignment of the ‘higher’ circle. – Facilitator: presides alignments in a neutral way according to the structure and the rules of Holacracy. – Secretary: responsible for the planning of meetings, keeping an actual overview of roles and procedures and fix the outcomes of the alignment meetings. Roles can be presented by everyone when there is a real need detected. The Lead Link can assign roles to persons but everyone is free to accept a role and fill in this role in a way that he or she wants. The distribution of fixed roles (Lead Link, Facilitator, Rep Link and Secretary) are run via an election with nominations. Circle members can nominate one person for the to be distributed role. All information is transparent and available for everyone. The decision power is situated with the self-organising teams, so it is important that all information is available. Only with complete information you can make the right choice. For example: you want to a do a purchase so that you can exercise a role better or to envisage a better functioning of the circle. In the case of tablets or even a new system, it is important to know the financial status of the organisation so that you can give an appropriate proposition. Transparent communication is also needed for correct assignment of roles, projects and actions following alignment meetings. This way it is clear from whom you can obtain this specific information. Alignment meetings can run into discussions to reach consensus on certain cases which can cause a delay. For this Holacacy has a clear structure to prevent this hurdle. Holacracy describes two alignment meetings with the aim of eliminating the work-related tensions or impediments, but also to give updates on the progress. Each circle has its own alignment meeting. The SCRUM meeting aims at eliminating impediments so that efficient follow-up is possible. This SCRUM meeting is organised on a weekly basis: during this meeting information is shared, project updates are given, projects are initiated, actions are verified with other roles, etc. During this alignment meeting all agenda points and impediments are followed up in a timeframe well defined in advance. For example, 15 items needed to be treated within 45 minutes, which results in 3 minutes per item. During this SCRUM meeting it is not the intention to investigate tensions; it aims at a following action to progress. 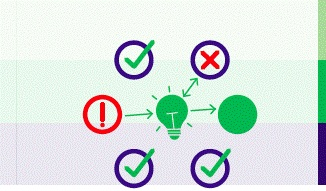 The facilitator has an important role to monitor the rules and take care of the fact that all points are tackled one by one in the set timeframe. The governance meeting tackles the structure of the circle. In this meeting you can change, create or eliminate roles, as well as set up or change a policy for the circle. The governance meeting does not take place as often as the SCRUM meeting. In practice you see that circle organise a governance meeting once a month. The circle itself decides on the frequency and timing of the meetings. The secretary plans the meetings. Organisations that start with Holacracy meet more often, as getting aware of who belongs to which circle and who exercises which role takes time. The clear communication around this, avoids a lot of conflicts. Decision making within Holacracy is based on transparent decision-making processes. This means that it is very transparent how and by whom decisions are taken. The decision making is about progressing in a fast and efficient way. Managers do no longer take decisions and delegate but the persons who have the appropriate role to do so. Other decisions, for example, decisions that are role transcendent and coincide with other roles are integrated in the SCRUM meeting or the governance meeting. An example: You have a role as trainer and your responsibility is to optimise trainings. This way you can decide yourself to change the training if you think that this contributes to the purpose of your role. If this also coincides with other roles, for example, the other role of trainer or the role marketeer, you need to discuss the proposition in the SCRUM meeting. During this meeting, decisions are taken via integrated decision making and the consent principle, terminology that will be explained further on. In Holacracy you react in a number of process steps on chances and threats, also called ‘tensions’. A tension is simply the difference between the current and the desired situation. You want each collaborator in the organisation to capture these tensions and work on it. This way the organisation can improve on a continuous basis and adapt quickly to changes in the environment. Holacracy gives autonomy to roles and find and discuss places to tackle these ‘tensions’. Everyone can come with a proposal to tackle tensions. If someone has no proposition, then a proposition or a first action can be proposed by the group to eliminate the tension. After the proposition is explained there is time for questions to the proposition maker. For example, questions like ‘What is the impact on?’ After these questions there is enough time for reactions. Based on these reactions, the proposition maker can adapt the proposition. In the end, there is an objection round for the proposition maker. By this the circle members have the possibility to make a clear consent to the proposition. This is called the consent principle. While consensus deals with ‘everyone has to agree’, the consent principle deals with ‘substantial objection’. Holacracy works with proposals to accelerate. But for a substantial objection of a concerned person, the information of the substantial objection is integrated in the proposal. A substantial objection can cause damage to an organisation. The consent principle helps to take decisions in a fast way and to be agile. After all, a Holacracy organisation can quickly adjust if a decision does not turn out well. Agile: The organisation can react quickly on problems and opportunities, the so-called tensions. As soon as someone notices that a process does not function well, new roles and role changes can be proposed. Roles have as well autonomous right to take quick decisions. Use Talent: The use of talent as collaborators are free to fill in their objectives and responsibilities. Transparency: All roles, responsibilities, agreements and metrics are open for everyone. Continuous Improvement: As each employee in the organisation can sense ‘tensions’ and can respond on this, the organisation can continuously improve. In Holacracy this is called ‘sense and respond’. Complex: Holacracy is considered as complex by the abundant rules. Holacracy indicates that you need to follow rules to apply it successfully. It means that a good support is necessary to obtain a good functioning of Holacracy. I can conclude that Holacracy is about structuring a company without a management hierarchy, but with clear accountability, authority and agility. Implementation is not easy due to complex ruling, but is requires self-discipline. All team members have the ability to make meaningful decisions and drive change. This new management approach will allow your team to clarify agreements, set clear expectations, increase transparency and will fundamentally rewire your organization’s approach to power. 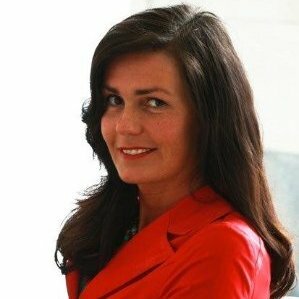 Sandy Everaerts, has 20 years of experience, and worked for leading companies in the Banking & Insurance sector. She has a background in both Business and IT as PMO, project manager & SCRUM Master.4-lingual NL/ENG/FR/GER with a Master’s degree, relevant project management certifications. Sandy joined Initio in 2017 as Senior Manager in charge of the Business Line Governance & Projects.